Abstract—A total operating cost of power system operation is one of the most important problem. Technically, this problem considers fuels and emissions of generating units performed in a Combined Economic and Emission Dispatch (CEED) due to a total load demand at a certain time under some constraints. This paper compares the effectiveness of various latest methods of artificial bee colony (ABC) algorithm as the newest evolutionary computation methods to determine the best solution of the CEED problem. To compute the CEED problem, the methods used programming simulations are applied to the IEEE-62 bus system. Simulation results show that the tested methods have difference values in term of characteristic, speed, starting point and statistical values. Based on performances of ABC’s generations, Harvest Season Artificial Bee Colony Algorithm has better results and it seems strongly to be a new approach to solve CEED problem. Index Terms—Bee, cost, economic, emission, power system. A. N. Afandi is with Computer Science and Electrical Engineering, Kumamoto University, Kumamoto-ken, 860-8555 Kumamoto-shi, 2-39-1 Kurokami, Chuo-ku, Japan and Electrical Engineering, State University of Malang, Jl. Semarang 5, Malang 65145, Jawa Timur, Indonesia (e-mail: an.afandi@ieee.org, an.afandi@ymail.com). Hajime Miyauchi is with Computer Science and Electrical Engineering, Kumamoto University, Kumamoto-ken, 860-8555 Kumamoto-shi, 2-39-1 Kurokami, Chuo-ku, Japan (e-mail: miyauchi@cs.kumamoto-u.ac.jp). 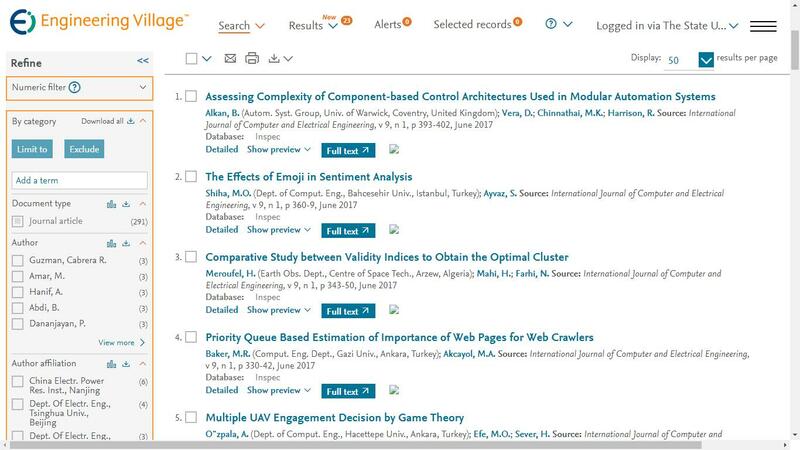 Cite:A. N. Afandi and Hajime Miyauchi, "Harvest Season Artificial Bee Colony, Superior Performances on Combined Economic and Emission Dispatch of Power System," International Journal of Computer and Electrical Engineering vol. 5, no.6, pp. 538-544, 2013.